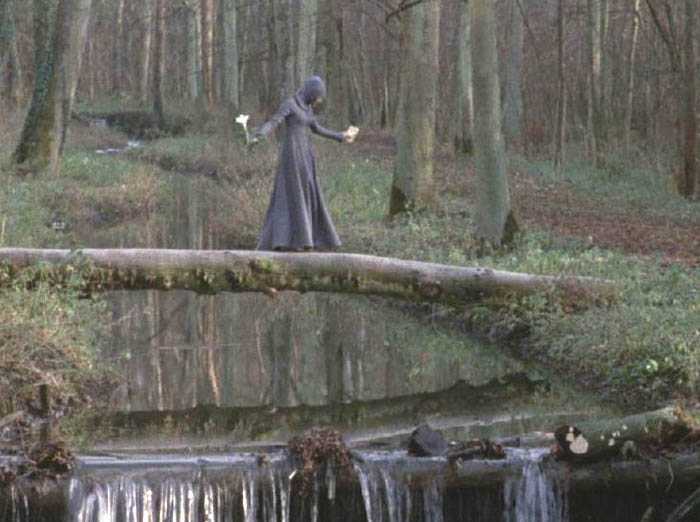 Arguably Borowczyk’s most personal film, Blanche transposes Juliusz Słowacki’s romantic drama Mazepa from eighteenth century Poland to thirteenth century France. Borowczyk’s wife, Ligia, gives a heart rending performances as Blanche, the young, beautiful wife to aging, almost senile baron, played by the legendary Swiss actor Michel Simon. When an amorous king pays a visit, not only does he fall under Blanche’s spell, but also his page, the infamous philander Monsieur Bartolomeo… Stunningly designed and immaculately photographed, Borowczyk transforms what could easily have been a melodramatic period drama into something altogether more bizarre and disturbing. Blanche also features a groundbreaking soundtrack featuring ancient musical arrangements drawn from the Carmina Burana. Selected as one of the BFI’s 360 Classic Feature Films, Blanche left an indelible impression on a generation of visionary filmmakers including Terry Gilliam and Neil Jordan.